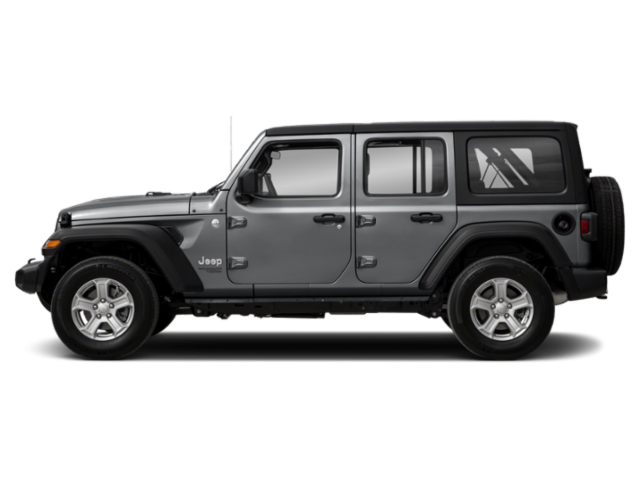 What to look for when buying a used Jeep Wrangler Unlimited? The Jeep Wrangler Unlimited is a four-door, longer wheelbase variant of the Jeep Wrangler. It's been produced since 2007, though the Unlimited name was used for longer wheelbase options of the Wrangler before that. Prior to 2007, however, those Unlimited models had only two doors. The Wrangler Unlimited is mechanically identical in most respects to its well-known two-door brothers. Part of the JK series of Jeep Wrangler models, the Unlimited debuted in 2007 and has continued in its first-generation since. Powered by a 3.6-liter V6, the Wrangler Unlimited has both a manual and automatic transmission option and a wheelbase that is about 21 inches longer than its two-door brother. It became popular not only for its family-friendly versatility, but also for its upgraded optional equipment featuring more interior creature comforts. For a short period, the Wrangler Unlimited was available as a rear-wheel drive only model, but that option was discontinued in 2010. The Wrangler Unlimited is otherwise identical in trim levels and design as its two-door Wrangler sibling. Some special editions of the Jeep Wrangler Unlimited have been produced through its lifespan including a video game-based Call of Duty version in 2012. The Wrangler, being a rough-and-tumble sport utility vehicle, is often associated with breakdowns and complaints. Attributing these to design flaws is difficult, given that the Wrangler and Wrangler Unlimited are the most modified vehicles on the road with more third-party modification options available than with any other vehicle model being sold. Things that can be attributed to the Wrangler Unlimited are the 2007 model year's "Death Wobble" which is the result of a bad steering stabilizer or ball joint installation. What is the average price for Used Jeep Wrangler Unlimited? How many are for sale and priced below market? What Jeep Wrangler Unlimited model year and mileage can you get for your budget? Where does used Jeep Wrangler Unlimited rank in comparison to competitor vehicles? What Is The Average Price Of A Used Jeep Wrangler Unlimited By Model Year? What Is The Average Price Of Competitor Cars To The Used Jeep Wrangler Unlimited? What Is The Average Price Of Used Jeep Wrangler Unlimited In The Top 10 Cities?